The most versatile gown of the 18th century! 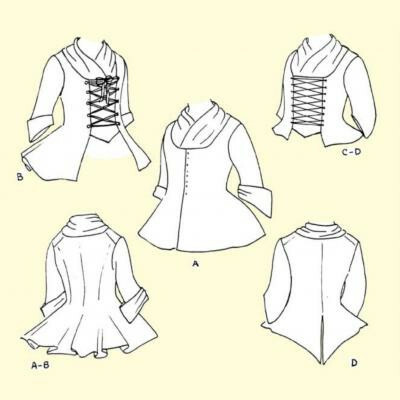 Quick and easy to construct, the Robe l Anglaise a la polonaise can take you from encampment to ballroom, depending on your choice of fabrics and trimmings. Similar gowns appear in collections of 18th century costumes all over the world, demonstrating the popularity of this style and its universal acceptance. 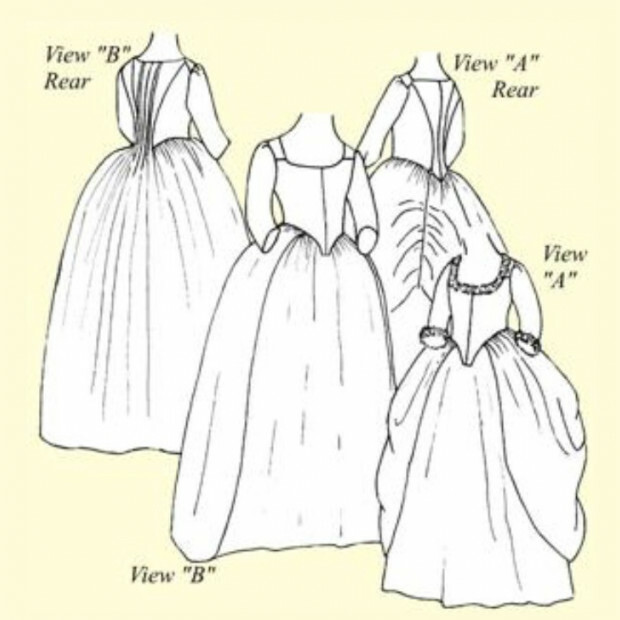 Included in each package is a small sleeve flounce pattern, not shown in illustration, plus diagrams with instructions for making a petticoat to be worn over hoops or a false rump. Available in sizes 8 22, one size per pattern. -- en fourreau as round gown with an apron front (View B). This gown may be constructed to suit a variety of needs. 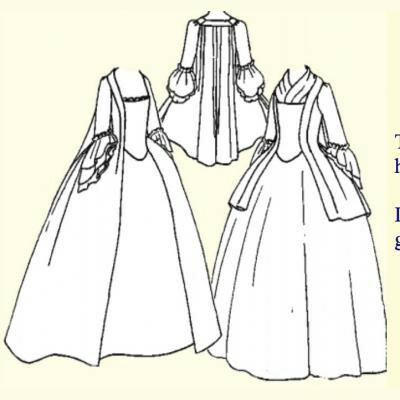 The two views shown offer a Robe l'Anglaise a la polonaise as an open robe with petticoat (View A) or the Robe l'Anglaise en fourreau as round gown with attached apron front (View B). 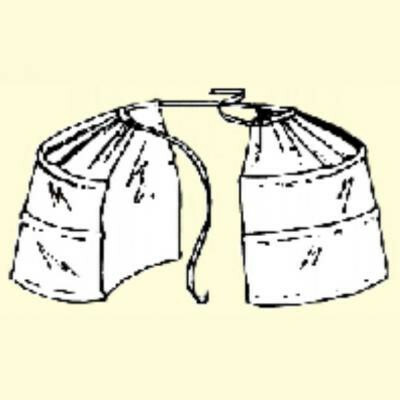 Either view may be made as either an open or closed robe, with a choice of two sleeves. Both views of the Robe l'Anglaise have a closely fitted bodice with an edge-to-edge center front closure. Side seams are placed well back on the body, giving the desired illusion of a wide full bosom with narrow back. 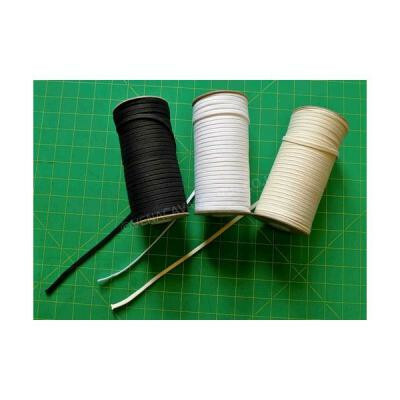 The over-the-elbow length sleeves may be finished with purchased trims or ruching and an optional sleeve flounce. Both views have a fitted back. The bodice back of View A has a waist seam. Therefore, the bodice has a separate attached skirt. The bodice back of View B does not have a waist seam. 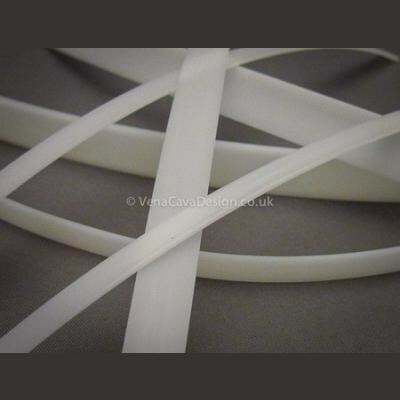 Instead, there is a full length panel of approximately 5 feet in length pleated to the bodice back. The remainder of the View B back panel attaches to the bodice to become the skirt of the gown. This original design is based on 5 extant gowns dating from 1760 - 1785, in the collections of The Chester County Historical Society, The Metropolitan Museum of Art, The Colonial Williamsburg Foundation, The Victoria and Albert Museum and the Municipal Museum of The Hague. 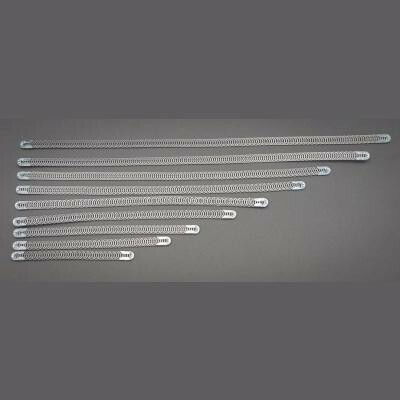 Each pattern includes fully illustrated instructions plus fitting and construction tips. 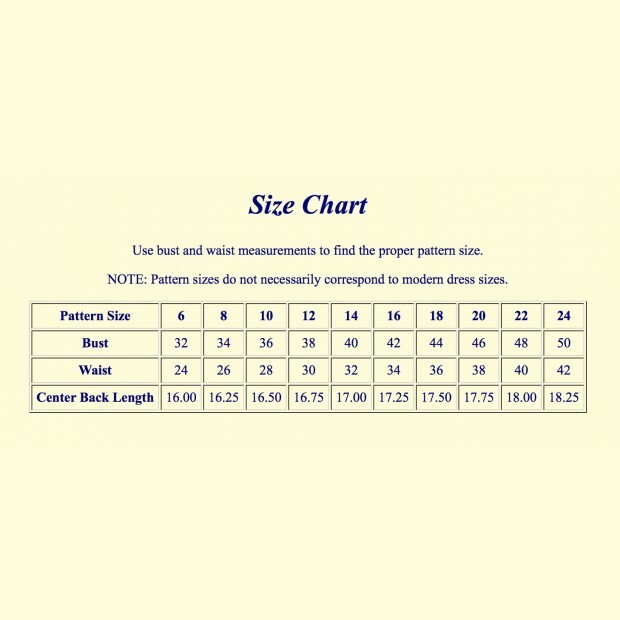 Use bust and waist measurements to find the proper pattern size. NOTE: Pattern sizes do not necessarily correspond to modern dress sizes.